Another episode jammed packed with all the sports headlines from the greatest city on the planet! The guys discuss the Lakers ping-pong ball scenarios, the Dodgers slow start and the Angels laundry list of injuries. 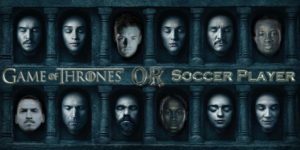 James visits the show and brings our first ever UCLA update and Hammer prepares us for more soccer coming to LA with a round of “Game of Thrones Character Or Soccer Player?” Plus, Ben gives his thoughts on the latest Kardashian drama… I swear we’re a sports show. Really we are. Ep 6: Someone would’ve got punched in the face!